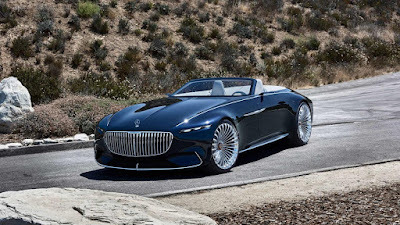 With its generous dimensions, the Vision Mercedes-Maybach 6 Cabriolet continues the series of visionary design show cars from Mercedes-Benz. So far these include the Vision Ener-G‑Force, AMG Vision Gran Turismo, Vision Tokyo and Vision Mercedes-Maybach 6 Coupé. 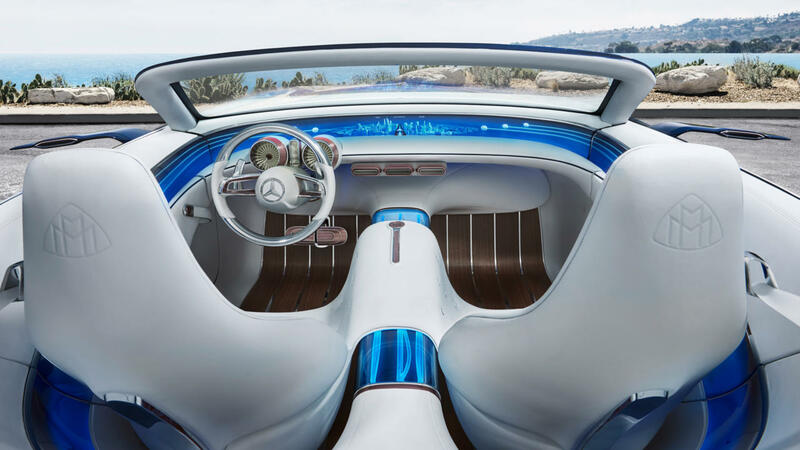 Thanks to the global nature of the Mercedes-Benz Design function, these concept vehicles take cues from local trends in design, culture and mobility and make these the focal point of the respective mobility concept. 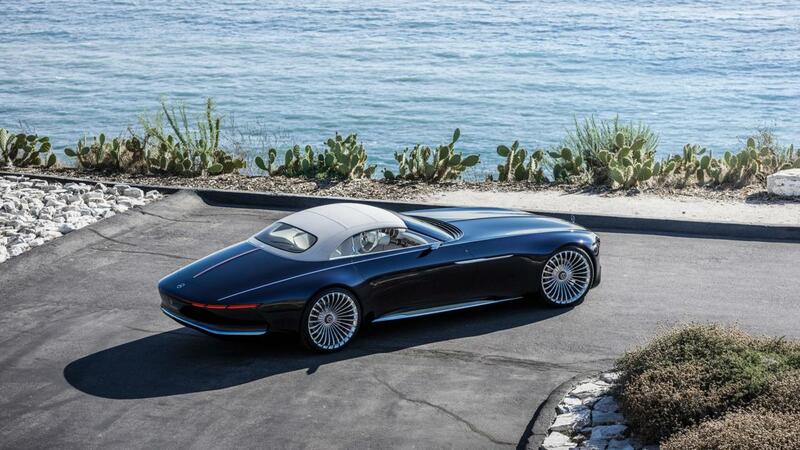 At the same time, these show cars are looking far into the future. The generous, flowing design idiom brings exterior and interior together in a holistic design. The formal flow of the areas from the rear into the interior gives rise to a typical yacht feeling. A light wing flows in a curve across the door trim and the centre tunnel into the seat landscape, creating a 360° open-air luxury lounge. 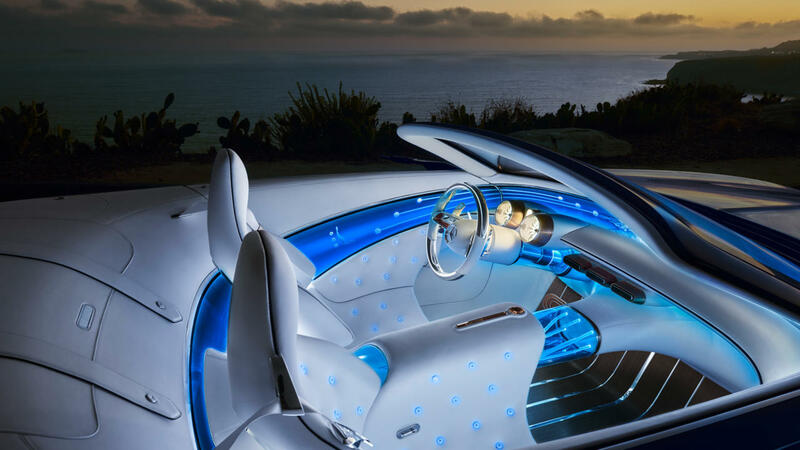 Above the 360° luxury lounge, the display strip links doors, dashboard and the rear area. All display elements are integrated into the continuous glass trim part. By way of contrast, classic round dials are positioned prominently. As a classic borrowing from aviation, three air vents are positioned beneath the wing which appear to float like engines. In addition to the flowing contours, the material composition produces a luxury experience of the highest order. Here, too, the interplay of the contrasts is both hot and cool. The brand’s hallmark authentic materials and colours are used, such as rose gold on the trim elements, or the surfaces which come into contact with the skin, featuring a lavish, quilted crystal white nappa leather finish. In this luxury technique, familiar among other things from Chesterfield furniture, the leather is put into folds in a diamond pattern and secured to the frame with buttons. 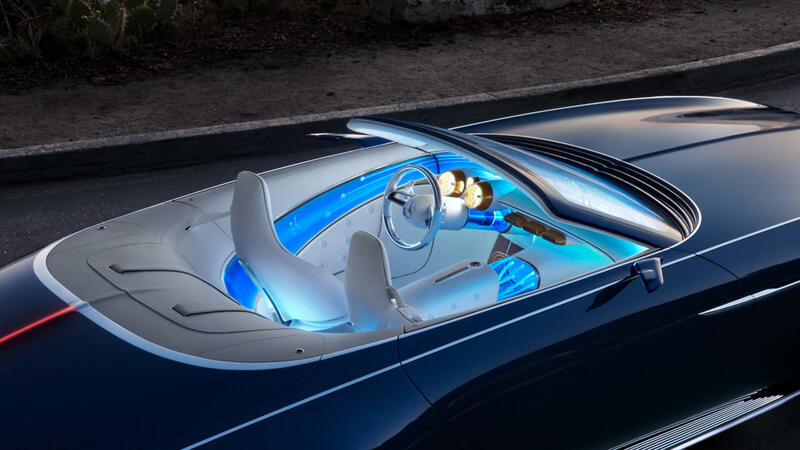 In the case of the Vision Mercedes-Maybach 6 Cabriolet, this traditional seat upholstery boasts a futuristic interpretation: each individual button of the quilting depicts a delicate Mercedes star, backlit in blue. The open-pore wood floor with inlaid aluminium underscores the lounge sensation and the connection to yachting. Another highlight comes courtesy of the floating, transparent centre tunnel, which visualises the drive system’s electrical energy flow for the passengers by means of blue fibre optics.